As the weather cools and the leaves begin to turn, children everywhere are beginning to get excited about fall's big feast. While your busy preparing for the holiday, why not give kids the opportunity to work on the early education skills with this fun, festive learning packet? Download our free Thanksgiving printables below. Join our thankful little turkey as he and his friends practice their early learning skills in this fun, 14-page free Thanksgiving printable learning packet. 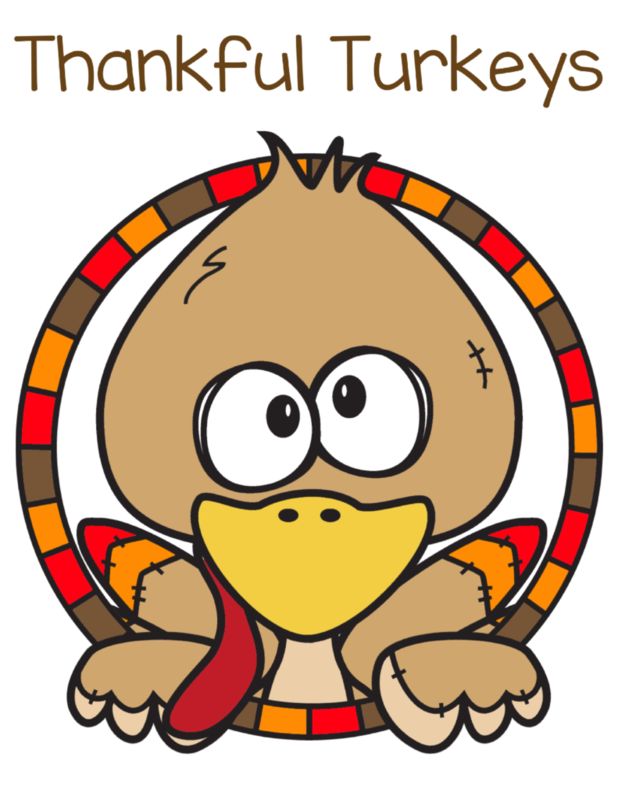 Within this activity packet, kids will partner with our festive little turkey and his friends as they embark on a learning adventure with fun coloring pages, puzzles, word search, math sheets, line tracing, and a colorful memory game. These free Thanksgiving printables learning activities are designed to be printed on standard 8.5″ x 11″ paper for easy printing at home. Simply download the packet from the links below, print, and watch your little one begin practicing their writing, math, and fine motor skills. Download our Thankful Turkeys free Thanksgiving printables by clicking on the image below. 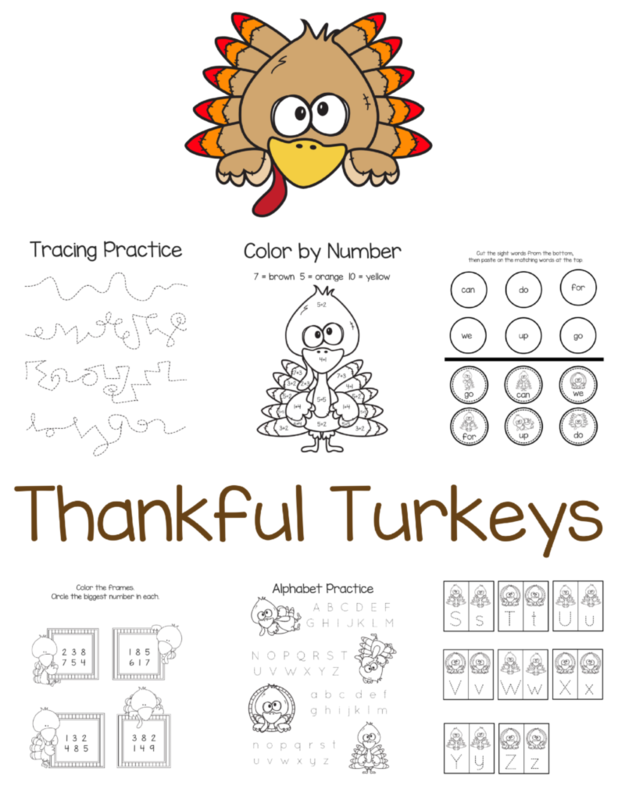 . . . . Love these Thankful Turkeys – Free Thanksgiving Printables? Don't forget to pin the image below to share with family and friends.